Myths are fantastical stories with a powerful, often truthful, message. These stories include images showing a mystical side of nature, describing creatures with super powers, like ‘fire-breathing’ or ‘immortality’. 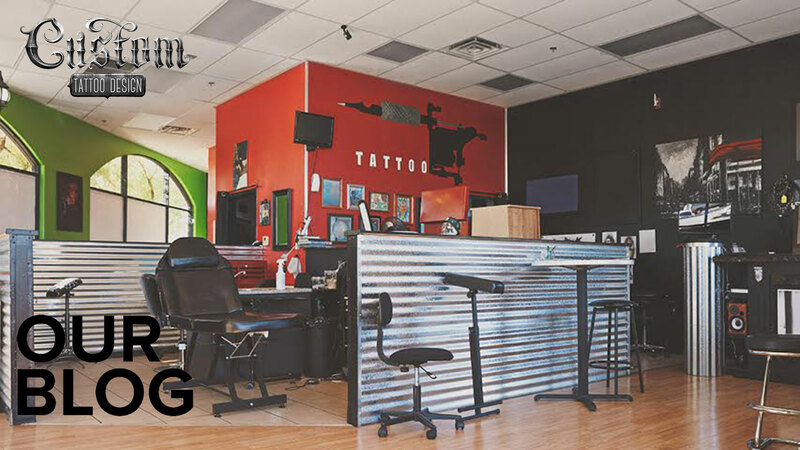 Mythological tattoos are an artistic way to represent an idea people find personally meaningful. Browse through our list of popular mythology tattoos to learn more about the story behind the image. Bigfoot: Also known as ‘the Sasquatch,’ Bigfoot is an ape-like creature from American folklore. Bigfoot is said to roam the forests of the Pacific Northwest, but the overall consensus is that he doesn’t actually exist. Still, the myth lives on, and many hikers claim that they’ve seen footprint evidence. 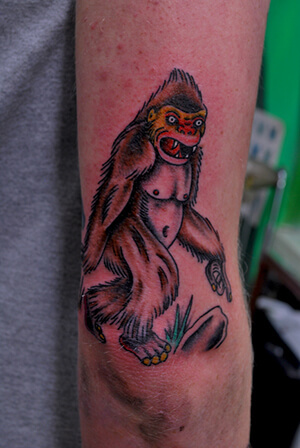 A bigfoot tattoo can represent one’s connection to the North American outdoors, recalling fun times spent exploring trails and camping. 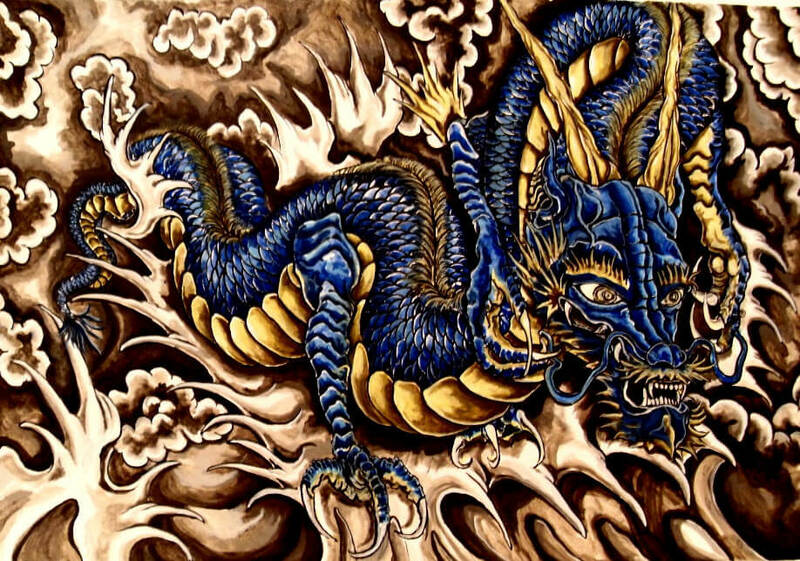 Dragon: Dragons have always been depicted as a great mythological creature in Asian culture. Traditionally, they represent the four elements- earth, wind, fire and water, representing the forces of nature. Dragons are known to be both ferocious and docile, and they are revered by many cultures across the globe. 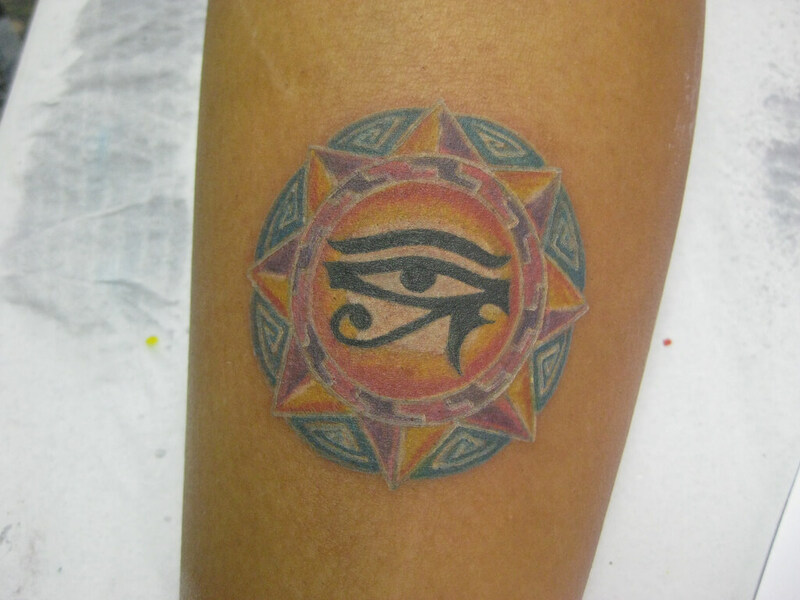 Eye of Horus: Horus is an Egyptian sun god, also referred to as the ‘all seeing eye.’ It has three major components: the eye itself, a teardrop in the corner of the eye, and the spiral extending from the bottom of the eye. Fairy: fairies are mythological creatures that show up in many children’s tales and fantasy literature, and they usually take the form of mischievous feminine characters. A tattoo of a fairy can symbolize beauty, a connection to nature, youth, and freedom. Loch Ness Monster: also known as ‘Nessie,’ the Loch Ness Monster is a mythical creature said to reside in the Scottish Highlands. Originally, these legends told of a serpent-like sea horse creature, invented to keep children away from the bodies of water. 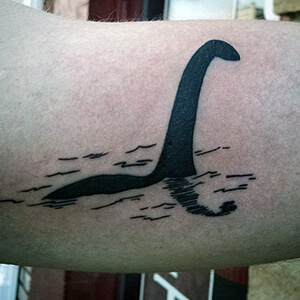 A tattoo of the Loch Ness Monster can represent a strong connection to the Scottish Highlands. Mermaids: Mermaids are mythological sea creatures that have showed up in various cultures across the world. 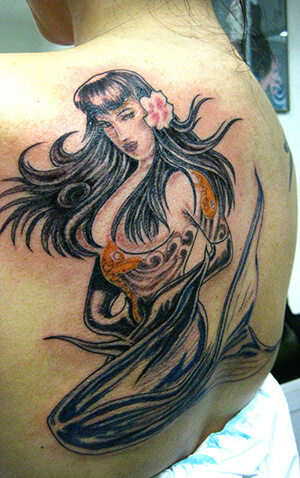 A mermaid tattoo often symbolizes sensuality, femininity, intuition, and temptation. 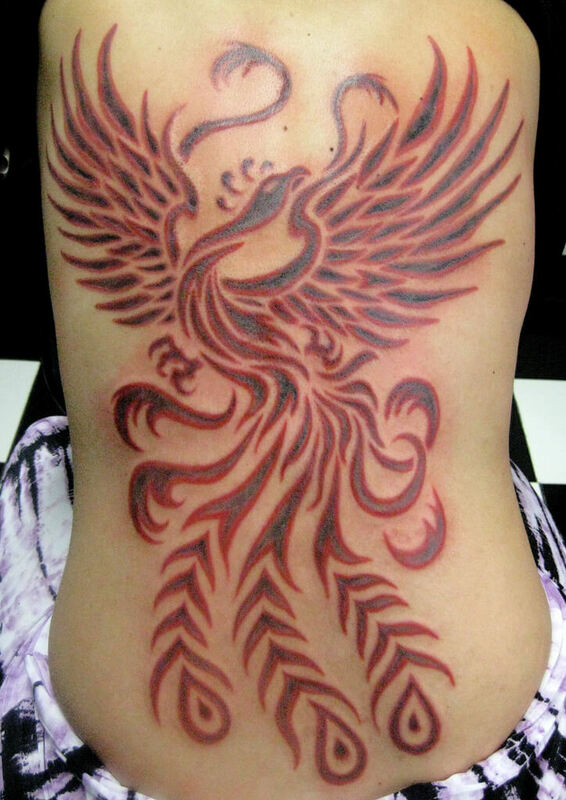 Phoenix: The three major meanings behind a phoenix tattoo are rebirth, renewal, and the beginning of new life. A rising phoenix is representative of a person who has experienced tough times, fought through, and survived. Unicorn: first showing up in 398 BC in Western mythology, unicorns were originally described as “wild asses with a horn on their forehead.” Unicorns are symbols of purity and charity. Many stories that we connect to are based in myth, and mythological creatures can stand for important virtues or life lessons. Mythological creatures bear a special connection to nature, and their fantastical elements can bring the magic back to reality. 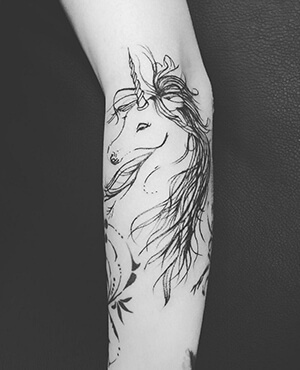 If you know of other interesting mythological tattoo meanings, let us know about them in the comment section below!